When they took a photo of the unit on the last day of filming Jo Jeeta Wohi Sikandar back in 1992, film-maker Farah Khan recounts that among the crew of roughly 75 men, there was one woman. It was her. In her foreword to a new book Changemakers: Twenty Women Transforming Bollywood Behind The Scenes (Penguin), Khan reports that on the sets of her films Happy New Year (2014) and Om Shanti Om (2007), at least 50% of her crew comprised women. “I want to be clear that I do not choose a person because she is a woman, nor am I suggesting that anyone should get a job because of their gender. I choose the best person for the job," she writes. Similar concerns inform the co-writers of the book, journalists Gayatri Rangachari Shah and Mallika Kapur. I meet Shah in the lobby of a midtown Mumbai hotel and we video- call Kapur, who is based in Hong Kong, to speak about the book (this is sort of how they produced the book). Cinema isn’t a specific area of expertise for either but they were clear they wanted to collaborate on a book on women leaders and locate it within a national narrative. “Hindi cinema can get a conversation going on various social issues," says Shah. “We approached it like journalists would approach a source," adds Kapur. While the book addresses many firsts—Hetal Dedhia, for instance, is Hindi cinema’s first and only female gaffer—nowhere in the writing is gender a Cuban heel, making special allowances for the subjects because they are women. “It came down to how these people are making a difference in the industry and if they had a story to tell," says Kapur. The list was drawn up based on interviews with insiders such as Khan, Rajeev Masand and Reshma Shetty. At a time when Bollywood books are either unauthorized biographies or “How To" tomes, Changemakers is a cool breeze. The authors are veteran journalists who met 20 years ago at Columbia University’s Graduate School of Journalism (Barkha Dutt was a classmate). While Shah is currently the India head at Tina Brown Live Media, Kapur is senior editor at Bloomberg Live, APAC. Had they started work on the book more recently, and not two years ago, I imagine it would have assumed a different tonality, with #MeToo being a crucial thread. But while sexual misconduct doesn’t lead any of the 20 profiles, gender-based discrimination does. The stories of these women are not without struggle. “I was surprised by how many women came from outside the industry and worked their way up. These are tough women. Their courage has really inspired me," says Kapur. Two profiles stand out. The book opens with Charu Khurana, the Delhi-based make-up artist whose lengthy battle resulted in the 2014 Supreme Court verdict that gave make-up women the right to work in the industry. After being harassed on set repeatedly, Khurana fought to upturn the Cine Costume, Make-Up Artists and Hairdressers Association (CCMAA) directive which kept women out. According to the union, if it allowed women to do make-up, male artists would lose their jobs. It’s shocking that this rule was in place until as recently as 2014. The other story is that of stuntwoman Geeta Tandon, who is the leading lady of this book. Stunt work is an unusual choice for an Indian woman. Of the 581 stunt artists registered with the Movie Stunt Artist Association (MSAA), thankfully not as regressive as CCMAA, 12 are women. As Aejaz Gulab, the group’s general secretary, says it: “She’s got guts. And she’s got one hell of a story about how she landed on a film set." Tandon was married at 15 under excruciating circumstances. After suffering repeated abuse, she walked out at the age of 20 with her two children. Her first assignment as a stuntwoman was for a scene in which her lehenga catches fire. She was singed badly and her eyebrows are scanty even today. But she earned ₹ 18,000 and bought herself a gram of gold. In her portrait in the book, her smile blazes with the strength of her million victories. Despite having two authors, the book manages to read evenly, though I find the inclusion of Anupama Chopra and Kiran Rao in a book about women “behind the scenes" mildly laughable. Many of these women wouldn’t have achieved what they have without supportive families and bosses. Shah points me to set designer Amrita Mahal Nakai, whose repertoire spans indie gems like Little Zizou (2008) and Ayan Mukerji’s forthcoming fantasy film Brahmastra. Not only did she have a champion in her mentor Sharmishta Roy but two months after her daughter Gia was born, her husband and baby were by her side on set. “Dharma Productions created an environment that would be conducive to a young mother, actively encouraging her to bring her baby on location," says Shah. The word “gaffer", I learn from this book, harks back to the 16th century. It was a term of respect for an older gentleman; a contraction of “Godfather", according to the Oxford English Dictionary. Over time, the movie industry adopted it as the title of the chief supervisor of the lighting team. There is something delicious about the idea of 32-year-old Dedhia, whose 5ft, 8 inches height and athletic frame often cause her to be mistaken for a model on set, being called a “Godfather". Dedhia doesn’t feel the need to downplay her feminine side. “As far as you’re doing well, nobody is going to say because you have put on nail polish, you have forgotten to do something," she tells Kapur. When I hear the word Godfather now, Marlon Brando’s face might not be the first one that comes to mind. And that is only one of the successes of this book. 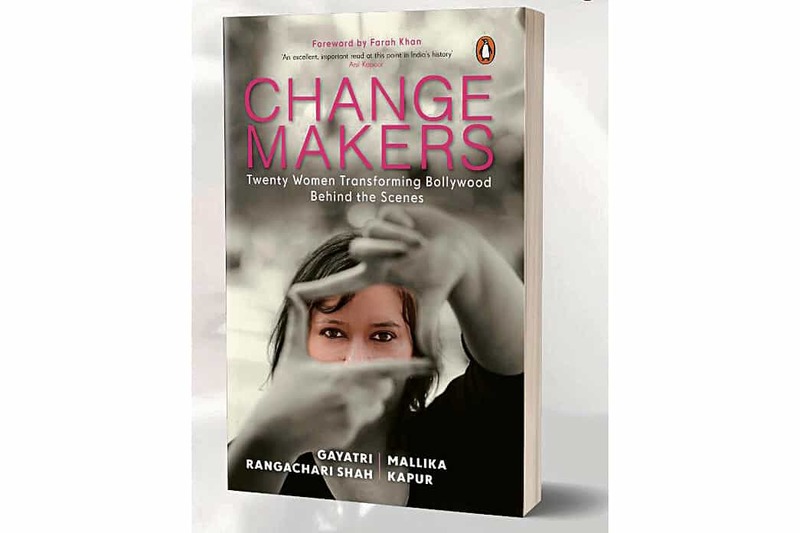 Changemakers: Twenty Women Transforming Bollywood Behind the Scenes is forthcoming from Penguin next week.